ZEUS B HELD is the veteran German producer and remixer who has been a key presence in the development of electronic pop music. Making his name as a keyboard player in the progressive rock band BIRTH CONTROL, he later progressed as a session musician, solo artist and producer. His vocoder layered cover of THE BEATLES’ ‘Fool On The Hill’ became a favourite of Belgian sibling duo SOULWAX. 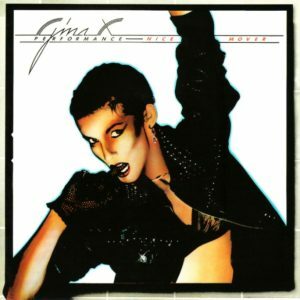 His production breakthrough came from working with GINA X PERFORMANCE in 1979 when the single ‘No GDM’ became an underground club favourite. 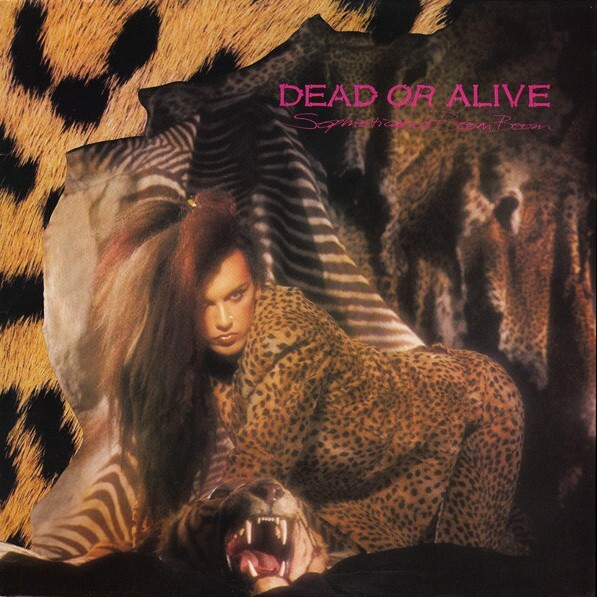 As a result, he worked with the likes of FASHION, JOHN FOXX, DEAD OR ALIVE and DIE KRUPPS while also remixing ALPHAVILLE, SIMPLE MINDS and GARY NUMAN. Other acts who benefited from his musicality and sound design were MEN WITHOUT HATS, SPEAR OF DESTINY, TRANSVISION VAMP and NINA HAGEN. 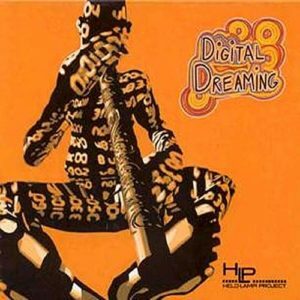 Later, Held moved into more jazzy grooves and while resident in Australia, he led a World Music collective featuring Aboriginal musicians and released an album called ‘Digital Dreaming’. He returned to electronic music in 2015 with the release of ‘Logic of Coincidence’ via Les Disques du Crépuscule, a largely ambient imaginary film soundtrack. 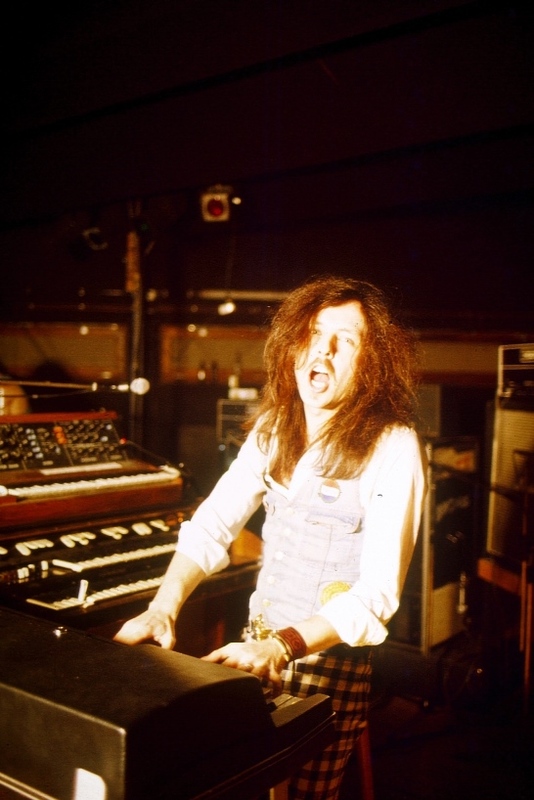 Almost simultaneously, he teamed up with former TANGERINE DREAM member Steve Schroyder to form the appropriately named DREAM CONTROL. 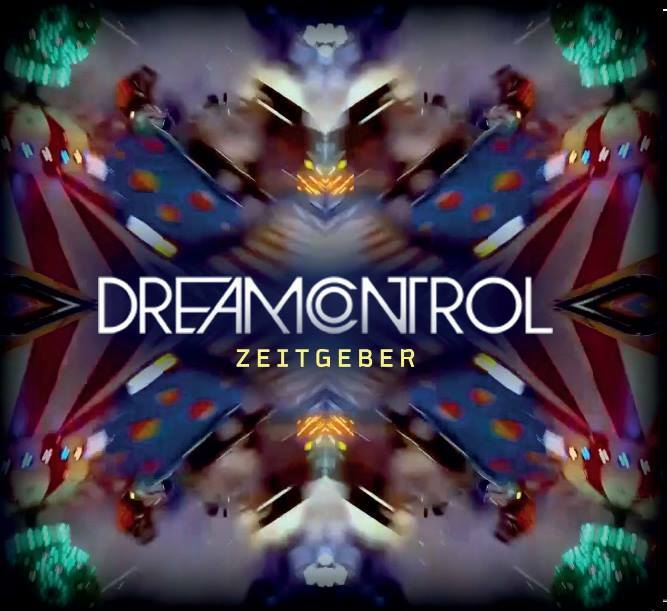 The pair are releasing their first album ‘Zeitgeber’, a largely uptempo electronic record that could potentially satisfy the headspaces of proggers and the feet of clubbers. 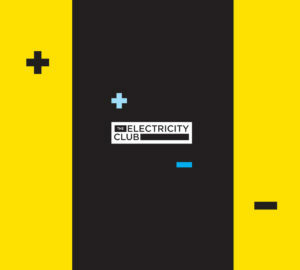 While in the UK on a short promotional trip for ‘Zeitgeber’, ZEUS B HELD kindly stopped for coffee to chat to The Electricity Club about DREAM CONTROL and his vast production portfolio. You took a break into jazz and world music, what has brought you back into working in electronic pop again? After I left England in 2003, I did a few different things like working around the ZKM Karlsruhe on more theoretical aspects of music and teaching. Call this lecturing “transfer of knowledge” which is ok and I still do it, but I am more interested in making music. In 2013, I had four weeks in Japan where I locked myself away with a couple of synthesizers; I really enjoyed that and rediscovered that it was the core of what I do best and what I want to do. This is what became ‘Logic Of Coincidence’. Did the improvements in digital technology make your return much easier? Not really, because the actual physical hands-on experience when you work with sequencers, moving sliders and twiddling knobs is a much more sensual action than if you programme it or do it with a mouse. I think there’s a big difference, like between virtual and real action-response. 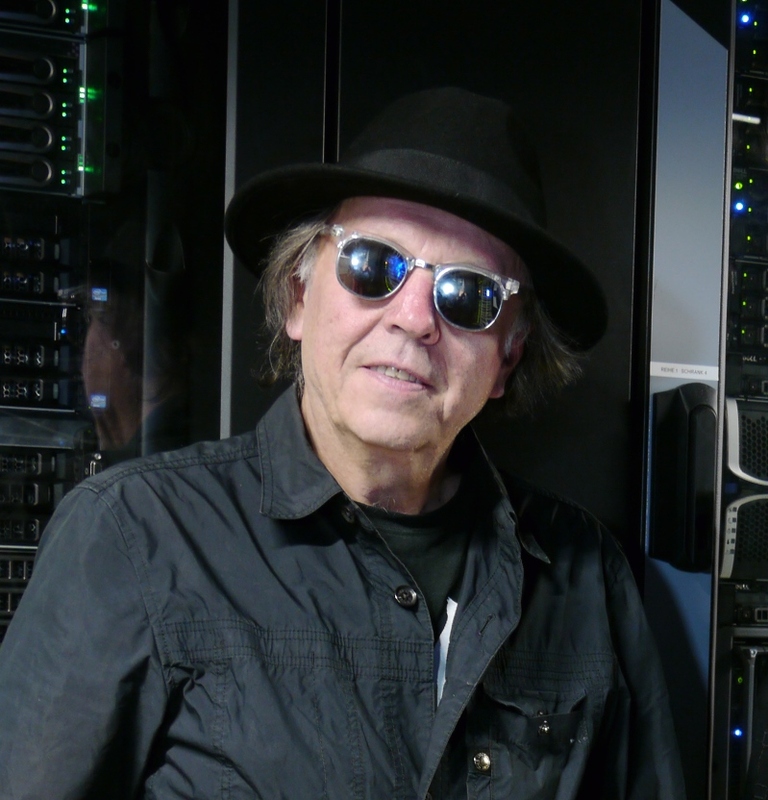 I started the album with lots of virtual instruments, a master keyboard and a Moog Source. Then I replaced them slowly and as I was doing this, it confirmed my thoughts about the differences between the virtual and real thing. What synths do you have? I still have a Minimoog, Moog Source, Prophet VS, Oberheim 4 Voice, PPG wave, Korg Prophecy and through Steve, I got access to the Memory Moog which is an amazing machine. I also have a collection of rack mounted synths including a Nordlead and an Oberheim DBX1. Which ones do you regret selling then? Oh, the Polymoog and the ARP 2600 which I am looking to getting back, or something similar. I went to this year’s Superbooth in Berlin and I could see there is a new wave of old style analogue synths coming up from all over the world; it’s been a really good experience to meet so many other synthesizer freaks. What is the direction you are taking in DREAM CONTROL, how different is it from ‘Logic Of Coincidence’? On our first studio session, we played around with some chords and rhythms – I played various synths and piano, added some sequences and experimented with vocoder lines. It all fitted and we both really enjoyed this new form of jamming and improvising on the spot, sometimes being amazed how our individual music and sound became one… you listen, you play and you answer, you throw a ball in, it’s just playing and responding. And that is something me and Steve can do on all kind of electronic instruments. When you create music, it should be playful. 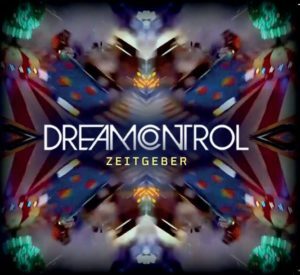 How would you describe the sound of ‘Zeitgeber’, given Steve’s history with TANGERINE DREAM and your own background? This album has a lot of energy in it, definitely not just a dreamy ambient album. Steve introduced me to the natural law of the “Cosmic Octave”, which is a different approach to frequency and rhythm definition. After I experienced the difference to the standard concert pitch, I was happy to do the entire ‘Zeitgeber’ album with this method. And yes, you can hear the difference. Overall it is an instrumental album with a good deal of vocoder. There is also assorted overtone singing and some other vocal elements by two female singers. Because of our name and history, we decided to rework one TANGERINE DREAM song and one BIRTH CONTROL song ‘Gamma Ray’, although later we dropped the TD track from this album. Is ‘Kant Can Dance’ representative of the album? I would say yes and no! It is the existing link to my ‘Logic of Coincidence’ album, but it’s in the spirit of us both. ‘Gamma Ray’ and ‘Kant Can Dance’ are the more accessible tracks of the album. The other tracks, like for example ‘Tomaga’ are deeper journeys into sound and unknown spaces. 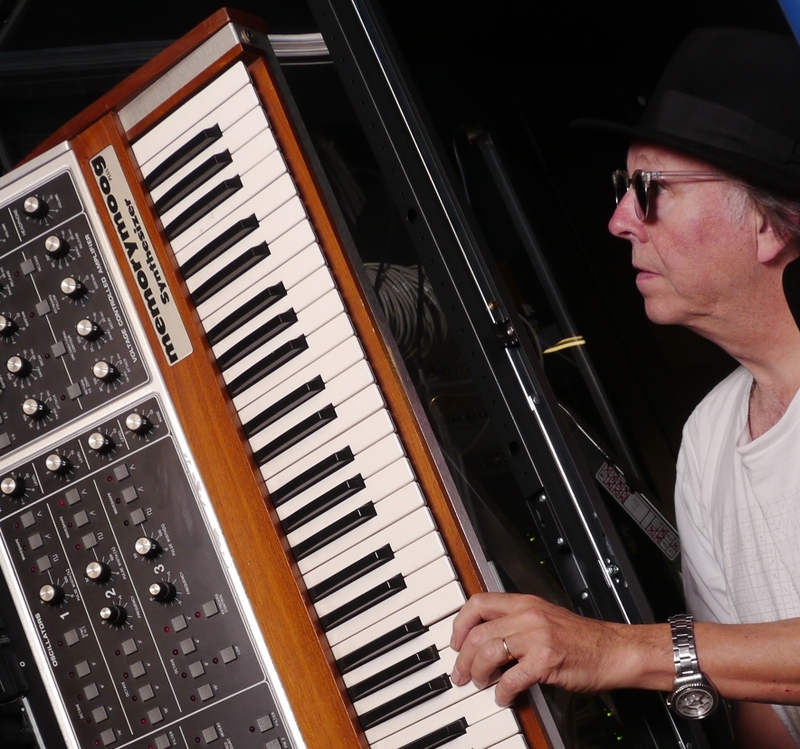 With electronic pop producers of the era like yourself, Mike Howlett, Trevor Horn, Stephen J Lipson and Steve Hillage, there appears to be this connection with progressive rock? I am sure there is a theoretical connection, the spirit of the time. But for me, it was my own development from thinking in chords, melodies and the traditional compositional building blocks to learn how to work with sequencers, machines and multi-tracks; I remember very well when I did this 2 minute track ‘M.P.C.’ on BIRTH CONTROL’s ‘Rebirth’ album, by discovering the Mellotron. I spontaneously put strings, flute sounds and choir together and played an impressionistic piano on top, all in an hour, while the other guys were having lunch. I got so inspired by sounds and multi-tracking, I learned to understand the studio as an instrument. You became more widely known in the UK for producing GINA X PERFORMANCE and ‘No GDM’, what was the creative dynamic between you and her? I wanted to make an album with vocoder, drums and only synthesizers and I wanted to make it really cold, no bluesy chords or melodies, no guitar and nothing rocky. I had in mind science fiction inspired tracks, also possible songs for the ROCKETS next album. Gina was an art student and was really into cutting edge art and music. We became a creative unit and I invited her into the studio, maybe to put some spoken words on the recordings – she developed from this, her own way of singing. With ‘No GDM’, she wrote the lyrics in the café upstairs of the Cologne Studio Am Dom after she saw the ‘Naked Civil Servant’ film; so when she stepped in front of the microphone she transformed herself as well as the track. She put that particular life into my music, effortless and free of clichés. It was an amazing experience for both of us, but at first, nobody was interested because this was a non pigeon hole-able unheard music. But we found a little label and suddenly people started to like it. It came from three places where we had the best feedback; there was Rusty Egan and The Blitz Club, Austrian main radio where it entered the charts and Canada… this all took about a year to happen. So this led to you coming to the UK and working with Birmingham band FASHION? What also led me to FASHION was my vocoder production for a French / Italian band called ROCKETS. I went to the Midem, the annual music event in Cannes, to sell my first solo album and I passed this stand where I saw a video with five silver painted guys playing a slightly futuristic rock song ‘Future Woman’ using a voice box. I thought “this would be so much better with a vocoder” and I asked to speak to their manager – after he heard my stuff, I was in. A week later, I was in Paris recording a cover of CANNED HEAT’s ‘On The Road Again’ and it became the ROCKETS’ big European hit. FASHION heard this and also liked GINA X PERFORMANCE – so eventually a guy from Arista Records asked me to listen to their demos and I liked it. 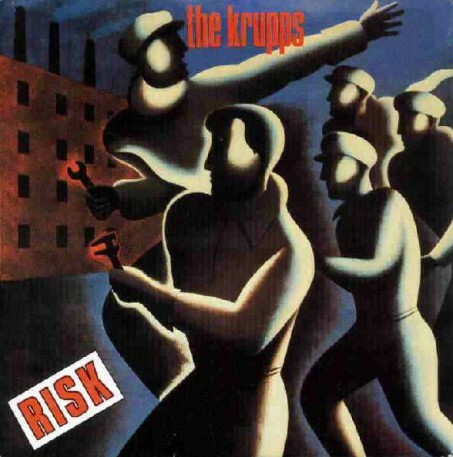 I particularly liked it because Dee Harris, the main songwriter and front man, also played a wicked Roland guitar synth in a slightly jazz-funky way; in those days the only other guitar synth player I knew was Pat Metheny on his group’s ‘Offramp’ album. 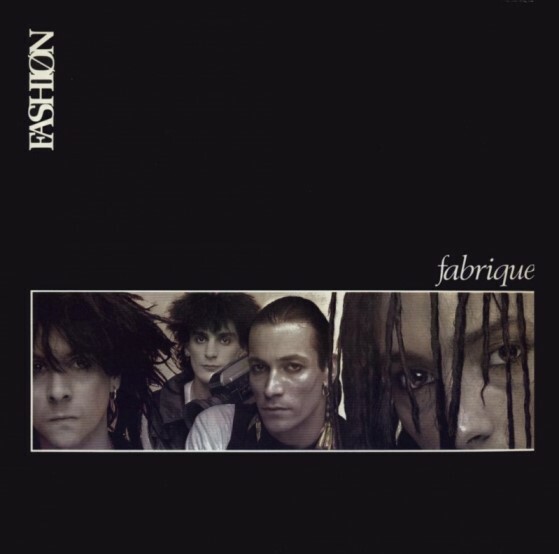 The ‘Fabrique’ album was recorded in Cologne, Paris and London, it was nicely developed over six months. Well… ‘Twilight Of Idols’ was FASHION Mark 2, it’s OK, but for me it was a compromise. The second version of FASHION with Alan Darby on guitar and vocals and songs like ‘Hurricane’, for me, it was stylistically too close to the overcrowded field of mainstream rock. FASHION’s first album with Dee Harris was his subtle funk and jazzy chord structures, influenced by American songwriting and this particular mixture of electronics from me applying my Germanic sequencers. Lately, 35 years after its making, I have been asked to overhaul ‘Fabrique’ with Dee Harris, so I can assure that we’ll eventually be working on that. At one point, FASHION were rated higher than DURAN DURAN on the Birmingham scene but of course, it was DURAN DURAN who broke big, what’s your take on it? In Birmingham, FASHION and DURAN DURAN were rehearsing in the same building when I got involved. DURAN DURAN were already ahead in the game, having a few singles out with EMI while FASHION were just entering the major pop arena. As much as I like Mr Simon Le Bon, I think Dee Harris was a different calibre as a vocalist – but there you go, the DURAN DURAN guys just went a fair bit faster, were better managed and they administered one hit after another! 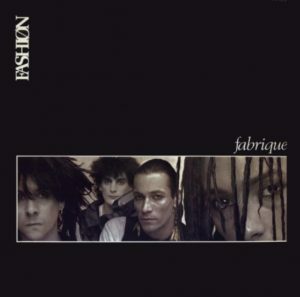 Unfortunately after ‘Fabrique’ was finished, some chemical reaction in certain brains caused the ‘Fabrique’ line-up to collapse and the album had to be buried by Arista. Their German and American labels hugely believed in the group and things could have been different, but FASHION didn’t really enter the league they should have been in. 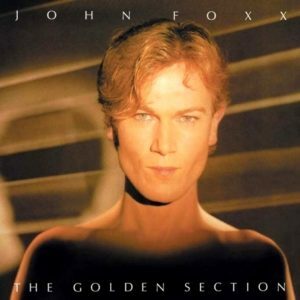 How did working with JOHN FOXX on ‘The Golden Section’ come about? 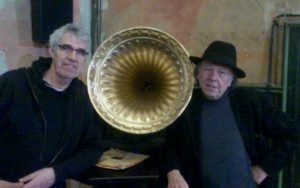 I told John that it should be more about sound and noisy abstract tunes but he wanted melodies with second and third harmonies; we were working in his studio The Garden in Shoreditch and it was his solo album, so I was there to make his vision happen. I guess our collaboration was not a very successful one as he pulled too far away from his roots, something that he later realised “ooops”! I helped him but I was torn, I had to make the best out of it. I wanted to bin songs and put more sequencers on others as it would have been more suitable and appreciated by his existing fan base, but he galloped into ‘The Golden Section’ . John is a multi-talented, very intelligent artist and we met at an interesting moment in our lives, but we didn’t make the kind of mutual masterpiece which we could have done. You then went on to producing DEAD OR ALIVE, your work with them had an amazing rhythmic element to it, how did you achieve that? They loved Patrick Cowley and Sylvester, that uptempo HI-NRG gay disco. I often went to the Heaven club during those days and listened to that music, I really liked this irresistible drive and energy. They brought many of those elements to the table themselves. We started to work on ‘Sophisticated Boom Boom’ with Wayne Hussey on guitar, thus getting a slightly gothic element which I quite liked. But Wayne and his guitar were sacked relatively early during the production, you can hear his guitar best on the first single ‘Misty Circles’. 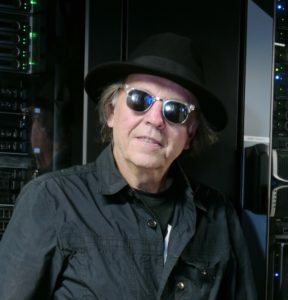 So in DEAD OR ALVE, had the sequence programming been done by Tim Lever and you were sweetening it for the final recording, or were you redoing it? It was a bit of both, some tracks came with some basic sequences to start with, others we started from scratch. I brought along my Moog and ARP 2600 to fill up the space. For drums we used mainly the Oberheim DMX, a Linn Drum and sounds from the Akai S1000. We also had a Korg drum machine but they didn’t like the TR808; it’s funny, when I worked with KILLING JOKE, they hated the 808 as well. 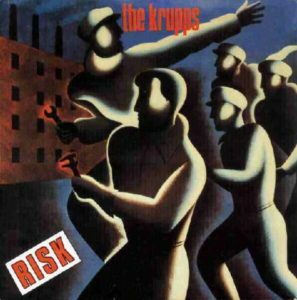 After all these British artists, what was it like to work with a German act like DIE KRUPPS in 1985? They pretty much had worked out how their tracks should be structured but by playing around with the Fairlight, we found space for new ideas and sounds. In the end, a lot of the ‘Entering The Arena’ album was Fairlight based. We had a limited budget and the LP was released by the Virgin sub-label Statik, whose claim to fame was MEN WITHOUT HATS who I later worked with. How did you find the move into the world of the Fairlight and digital in general? I wanted to master the Fairlight and luckily enough, Octave Hire, a London rental company based in the Docklands, left one with me at my basement flat in Earls Court when it wasn’t being used. I spent days and nights on end to dive into this new world of sampling and sequencing. I used the Fairlight on the last GINA X album ‘Yinglish’ and it was here when I met JJ Jeczalik, a real expert on the CMI. We made a deal: I’ll get him a few studio gigs, teach some musical basics and give him sounds and samples which went into his library – some of them ended up on the first record by THE ART OF NOISE. SIMPLE MINDS then had a drummer I did some studio work with before, Mel Gaynor… he also played on an unreleased track I produced with Ian Burden from THE HUMAN LEAGUE, called ‘She’s Always On The Dancefloor’. I studied the parts and played around with the drums because I really enjoyed what Mel Gaynor did. He was a timing and groove master who beat every drum machine. How did you feel when you were asked to do the ‘E Reg remix’ of GARY NUMAN’s ‘Cars’ in 1987? I was a big GARY NUMAN fan, I saw him in 1980 in Düsseldorf at the Philipshalle… guess who was the support act? SIMPLE MINDS and they played on about four square feet of stage because GARY NUMAN had such a huge stage set up! Beggars Banquet asked me to remix ‘Cars’ and I was already booked and had to squeeze it in. So I worked 20 hours non-stop on it. This was when the Roland D50 came out and if you listen to my remix, it’s full of those sounds! I enjoyed doing it because it’s a great song, I love his voice, the dynamics of the sounds work brilliantly with Gary’s melodies. I saw my job to get more excitement and shape into the track as well as doing an extended version. ARMAND VAN HELDEN actually sampled parts of my remix for ‘Koochy’! I worked closely with their label and they wanted a record, like you could have a cup of tea to… well, they didn’t actually say that but it was how I translated it, “pop punk”. The first album ‘Pop Art’ took nearly two years and the band grew during its making; they had started to work on demos with Duncan Bridgeman who also did most of the pre-production; after a few tracks into the actual recording sessions, I was asked to revisit the production and arrangements. I got a chance to enrich the sounds and take care of the mixing. A few tracks I did from scratch and started with an electronic song frame. Especially ‘Tell That Girl To Shut Up’, I’ll never forget when I was doing the arrangement, Wendy James walked in and screamed at me “THAT SOUNDS LIKE F*CKING HOWARD JONES, I HATE IT!” and she stormed out of the studio. I yelled “wait, we’re going to stick the guitars on and it will work!” which is exactly what happened. So yes, in the end most of the album sounded a good mixture between electronic versus rough and punk. Of course, this was in the days before Melodyne and Autotune… when Wendy sang the soul out of her guts and it wasn’t quite right, we would have to record up to thirty tracks of vocals and do compilations of the takes – and in the end it sounded like one convincingly performed take, which would have to grab the listener. She sold that band! Before that, there was the aborted CLARE GROGAN album that you did, what happened there? With Clare, we were forced for too much in a little amount of time. I couldn’t really open her up musically, it was like being whacked in with the record company watching… before I could sit back and analyse, it was all finished. It was done in a rush, that was a pity. With her voice, we should have done something a bit more whacky, something more off the wall. I had the same experience when I was paired with Annabella Lwin from BOW WOW WOW. It could have been brilliant but it was squeezed into three weeks trying to record ok songs. I couldn’t find her best musical language, you need time when you develop something new. 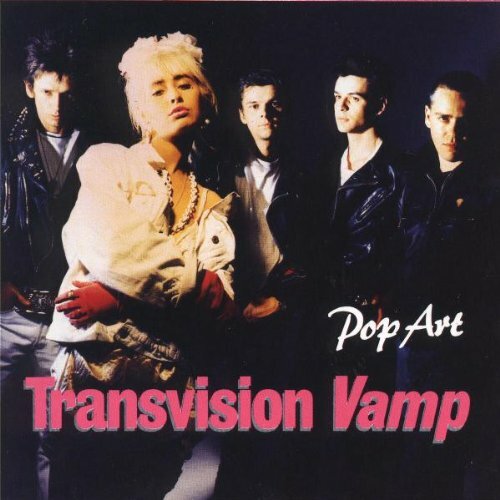 With TRANSVISION VAMP, we had eighteen months and it grew. It all started when Nick met Wendy and said “do you want to be a rock star?”, she said “yes” and they worked on it. This record company pressure would drive any normal person crazy? Yes, there’s a danger, you’d better have strong nerves and a good sense of humour… and you have to avoid ending up doing paid crap! Is that why there has been such a big gap in your production work after NINA HAGEN in 1991 ? It coincided with a breakdown of my private life. Whether it was too much time spent in the studio or a typical mid-life crisis, whatever! It happened! So I had a desire to be free, travel the world – I ended up in Australia, doing music there with Aborigines and playing concerts in the middle of nature. That’s when I recorded my “audio postcard of down under” called ‘Digital Dreaming’. All in all I took ten years off and then I didn’t come back easily. I did film and ad music and that didn’t really satisfy me. So I had a rethink, did workshops and coaching, gave lectures – call it “knowledge transfer” – but again, this was not what I wanted to do. I would love to do more DREAM CONTROL concerts, events and festivals. I still want to play and entertain people – their ears, their eyes and their imagination. In the studio I would like to do more songwriting and remixes; in an ideal world I’d always work with new inspiring equipment and learn how to master it. I always enjoy listening to music but I am a difficult consumer. For pleasure I’m often listening to more jazz based music, but occasionally, a mega exciting track by the likes of JUSTIN TIMBERLAKE or JUSTIN BIEBER will knock me out and I applaud. Apart from a song’s composition, I always want to know how it is done the way it sounds – from the musical & frequency arrangement to the immaculate mastering.